For a review of best tasting coffee, my thought goes to Singapore. It is one of those cities in the world that truly can offer the visitor a cosmopolitan experience. Virtually everything that the world has to offer – especially in the way of culture and cuisine – can be found in Singapore. But, for those who are willing to expand their horizons and truly make the effort to find out what is typical of Singapore, there is a lot of offer. For the coffee lover, there is the experience of the best coffee ever. Now this is quite a bold statement to make but one I will stand by. 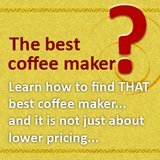 The best tasting coffee is not the best instant coffee or even very expensive gourmet coffee made fom expensive Arabica beans. The best coffee and the most popular coffee in South East Asia is coffee brewed in a local “shop” by means of stirring a sock filled with coffee grounds in a pot of hot water until it is “ready”. How can one know when this coffee is at its best? Surely there is no way that a coffee sock in a pot of hot water can ever compete with the products of the finest coffee roasters in the world? It most definitely can. The secret ingredient is experience. 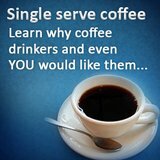 It is the experience of the coffee brewer that makes Kopi O the best tasting coffee ever. “Kopi” is the derivative of the Malay word for “coffee” , which has a Portuguese origin, and used in combination with other words will allow you to describe the different derivatives of coffee, e.g. 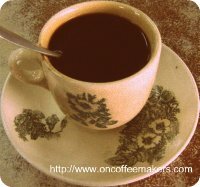 “Kopi-O” describes coffee with sugar, “Kopi-gau” is a strong coffee brew whereas “Kopi-po” is a weaker coffee brew. 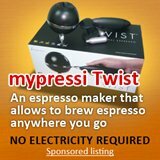 Each of these is masterfully brewed and blended by hand and result is the best coffee drink that enjoys incredible popularity throughout South East Asia. 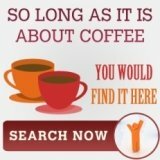 It is far more popular than the “traditional” coffee beverages that are the rage in Europe and the Americas. Each “Kopi” shop has a distinctive flavor that will make people queue for long periods of time just to get to their favorite “Kopi-O”. Given that each brew of Kopi is made by hand and is only readywhen the brewer, based on experience decides it is so, there is very little chance of this ever being reproduced mechanically or manually anywhere else in the world for that matter. The best way to sample the best tasting coffee is to come to Singapore and try it yourself.